SPX Corporation has purchased Schonstedt Instrument Company in Kearneysville, West Virginia. 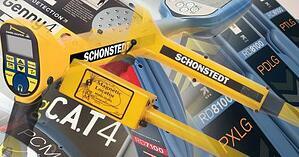 Schonstedt manufactures and distributes magnetic locator products used for locating underground utilities and other buried objects. "We are excited about Schonstedt joining the SPX team," said Gene Lowe, president and CEO of SPX Corporation. "Schonstedt is the leader in magnetic locators, with a strong brand, technology, and user base that make it a highly complementary addition to our Radiodetection business's industry-leading portfolio of cable and pipe locator products. We expect this combination to drive incremental value by leveraging our combined products, technologies, sales networks, and geographic channels." "Schonstedt has been a long-time employer in Jefferson County," said Nicolas Diehl, executive director of the Jefferson County Development Authority. "This joining of two industry leaders is a great opportunity for Schonstedt, and we are looking forward to Schonstedt's continued success and future growth in Jefferson County. SPX Corporation is a supplier of highly engineered products and technologies, holding leadership positions in the HVAC, detection and measurement, and engineered solution markets. Based in Charlotte, North Caroline, SPX Corporation had approximately $1.4 billion in annual revenue in 2017 and more than 5,000 employees in about 15 countries. Schonstedt specializes in instruments to locate iron and steel (ferrous) objects, and pipes and cables (linear underground conductors). The company's products are sold through a wide network of dealers and manufacturer representatives throughout the world. Schonstedt had approximately $9 million in annual revenue in 2017.